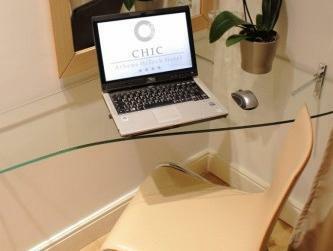 ﻿ Chic Hotel Athens. JIMAT di Agoda.com! Ada soalan mengenai Chic Hotel? Terletak pada kedudukan yang baik di Omonia, Chic Hotel adalah tempat yang sesuai untuk memulakan lawatan anda di Athens. Dari sini, tetamu boleh menikmati semua kemudahan yang bandar ini tawarkan. Penginapan ini berada di sekitar kawasan tarikan bandar yang popular seperti Panggung Nasional, Elixir Spices and Herbs, Dewan Bandaran. Chic Hotel juga menawarkan banyak kemudahan untuk memperkayakan penginapan anda di Athens. Hotel ini menyediakan akses kepada pelbagai perkhidmatan yang luas, termasuklah Wi-Fi di tempat awam, tempat letak kereta, bilik keluarga, lif, peti deposit keselamatan. Suasana Chic Hotel terpancar di dalam setiap bilik tetamu. televisyen skrin rata, penyaman udara, meja, bar mini, kalis bunyi hanyalah sebahagian daripada kemudahan yang boleh didapati di hotel tersebut. Di samping itu, pihak hotel menawarkan aktiviti rekreasi untuk memastikan anda mempunyai perkara untuk dilakukan sepanjang penginapan anda. Apabila anda mencari penginapan yang selesa dan mudah di Athens, ijadikan Chic Hotel sebagai rumah anda seperti berada di rumah sebenar. Nice and friendly staffs. They are helpful for any question that I ask even they search for me in the internet. The breakfast is normal. The room is very clean but it has no water boiler or coffee maker. the hotel has no facilities such as gym. The internet is very good with high speed. The hotel is very close to metro station (Omania) 3 to 4 minutes. The taxi driver told me to be cautious but I didn't encounter any problems. I like the balcony. Staff were very helpful and very accommodating. They were courteous enough to allow us to store our bags until check in, but instead allowed early check in since our rooms were ready. Scheduled taxi for pickup when we were checking out. Rooms were very clean. A bit too noisy from the busy traffic area on the side of our room. The taxi driver instructed us to be cautious since this area was prone to drug addicts, and to ensure use of taxis late at night. We didnt encounter any problems but on the last night there were some men fighting outside that we could clearly hear in our room. Friendly helpful staff, nice rooms, comfortable overall stay. The only complaint would be the location, I had to walk through some seriously dodgy streets to get there, definitely recommend taking the metro. The location is in the city center and I found that made everything accessible. The property was very clean and my bed was surprisingly comfortable. The Wi-Fi was fast and I had no downtime during my 5 day stay. All in all it was a good value for the money. On the down side I wish there had been at least one English speaking channel on TV. My TV showed a BBC channel; however, it never worked during my stay. I reported the situation to the front desk, but it was not rectified during my stay. Just spent a weekend in Athens and found the hotel to be very comfortable, well priced and located close to a metro station. My particular room was spacious although a little noisy being located on a main street in the city. Found the staff to be friendly and attentive. The negative is the immediate area around Omonia isn't that great but you are close to a metro station and walking distances to parts of the city centre. Our stay at the hotel was nice overall with attentive and friendly staff, however for a 4 star hotel we expected a much better breakfast. It is basic, very basic. Not much on offer at all. Location was good in terms on proximity to metro (about 200m, short walk), however Omonia is widely known as a rough and potentially unsafe area - we did not have any problems but you can see why it has this reputation as soon as you step out into the street. I chose this location without realising so can't complain. Just providing info for the sake of the review. Room was nice however a little small. Wifi, aircon, TV and shower all worked well. I would rate this hotel 3 star, not 4. Clean, spacious and stylish rooms. Good value for money. The hotel is small but once you get in to the reception you very much get the 4-star feeling of a stylish hotel. And the room won't disappoint. Clean, spacious and with some quite stylish, let's call them innovations. Staff is very helpful and knowledgeable about their city, they have wifi and breakfast (though a poor selection), and the minibar, making the money quite well spent. The area have an reputation though. Personally, I did not see a single drug addict, nor did I feel threatened by anyone walking out in the night. Of course, if I took the best looking dress, most expensive looking shoes or was a woman wearing miniskirt and all the most expensive looking jewelery, things may have looked different... please use your head. Das Hotel ist auf jeden Fall kein Vier Sterne Haus. Wir sind öfter in Athen und immer in einem Vier Sterne Haus, aber das ist nicht vergleichbar. Für längere Aufenthalte nicht geeignet, da es zumindest im Standardzimmer keinen Schrank o.ä. gibt. Wir haben quasi aus dem Koffer gelebt. Das Zimmer war sehr klein und in Anbetracht dessen, dass es keine Möglichkeit gab, die Koffer auszupacken, mussten wir immer über diese steigen. Das Badezimmer, war quasi eine abgetrennte Ecke des Zimmers. Eigentlich ganz ok - wenn nicht in der Dusche Schimmel gewesen wäre! Das Zimmer ging zur Straße raus und durch den Verkehr war es Tag und Nacht furchtbar laut. Der Frühstücksraum ist klein und das Angebot eher niedere Kategorie. Eigentlich Schade, denn das Personal war sehr nett und zuvorkommend. Huone on erittäin pieni. Epäsiisti. Lamppu puuttui. Suihkuseineissä oli sentti-kaksi mittäiset rejät. Aamiainen oli erittäin suppea. Ei todellakaan 4 * hotelli, hyvä jos 2*! Miła obsługa, czyste pokoje. Mały minus - hałas z ulicy.